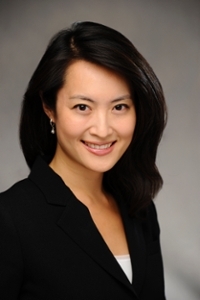 Professor Catherine K. Kuo has received an NIH R01 grant for the project titled, "Tendon Tissue Engineering Informed by Lysyl Oxidase Regulation of Embryonic Tendon Mechanical Properties.” This project includes fellow BME faculty members Hani Awad, Edward Brown, and Mark Buckley as collaborators. This research will investigate the role of lysyl oxidase (LOX) in regulating tendon mechanical property development. The goal is to develop novel LOX-based strategies with stem cells to promote healing of injured tendons, which are unable to heal naturally. Abstract: Musculoskeletal injuries are a leading cause of disability and medical costs in the United States. Approximately half of these injuries involve tendons and ligaments. The lifelong dysfunction, pain, and increased risk of re- injury due to poor healing have motivated our long-term goal to regenerate new tendon from stem cells to restore function and quality of life. Typical stem cell-based approaches aim to promote quantity of extracellular matrix (ECM) content, with the assumption that ECM quantity correlates with mechanical properties. However, these approaches have yet to achieve functional tendons. This has led us to ask how tendon develops naturally in the embryo to inform a mesenchymal stem cell (MSC)-based tendon regeneration approach. Our studies in the chick embryo recently showed that lysyl oxidase (LOX)-mediated crosslinking correlates strongly with mechanical properties during tendon development, and that inhibition of LOX activity reduces crosslinking and elastic modulus despite continued increases in matrix content. Furthermore, LOX activity appears to be regulated by embryonic kicking (mechanical loading). Based on these exciting data, we hypothesize LOX is a critical regulator of developing tendon mechanical properties, and that developmentally informed manipulation of LOX activity can promote functional tendon regeneration with MSC. The hypothesis will be tested with the following three specific aims: 1) determine LOX expression patterns and role in embryonic tendon mechanical property development; 2) elucidate how mechanical loading regulates LOX during embryonic tendon development; 3) develop approaches to enhance engineered MSC-construct mechanical properties via LOX-mediated crosslinking. The proposed work is innovative because our approach focuses on restoring ECM quality, rather than quantity, of the regenerating tendon matrix, and aims to inform this approach with embryonic development. Our novel strategy combines the chick embryo model with tissue engineering and bioreactor loading systems to investigate LOX and mechanical loading interactions in functional tendon development. Our long-term goal is to design developmentally inspired LOX-targeted therapies utilizing MSC to improve tendon mechanical properties.